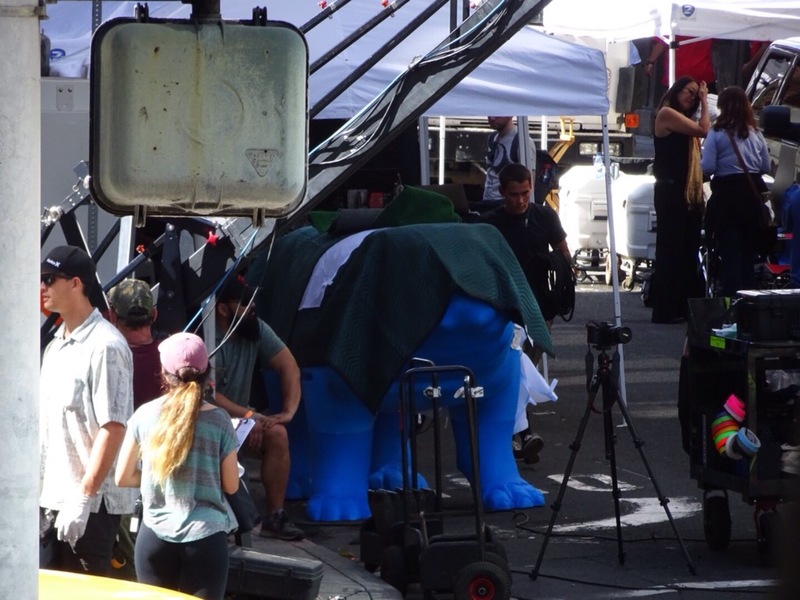 Over the weekend Comicbook.com posted some images from Marvel Television’s upcoming The Inhumans and while I’m glad that their teleporting dog Lockjaw will be making an appearance the costumes might be just a little bit subdued. 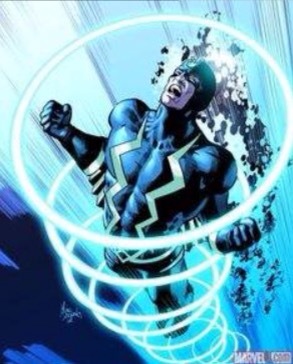 By which I mean, here’s a picture of Black Bolt, the head of the Inhuman Royal Family. He’s a pretty distinctive-looking character, to be sure. And I get that Marvel Television might not want to go with something so ‘cartoony,’ especially considering this is likely their highest profile production thus far. But could they be going too conservative? 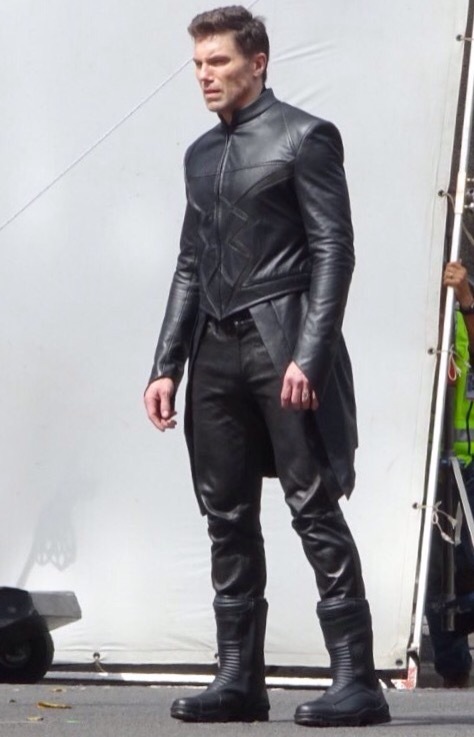 Below is actor Anson Mount (who’s playing Black Bolt) and while there’s no way of knowing based upon one picture if this is his final costume, if it is it harkens back to the what the X-Men wore fourteen years ago. Which is frankly, a little bit odd and potentially presents a problem because the acceptance of the Marvel Cinematic Universe among the general public has show us that as long as you treat these characters faithfully (also shown by the reception of movies like Man Of Steel and Batman v Superman: Dawn Of Justice, though in not a good way) people will pay to see them. Which is important when you take into account that the first two episodes will appear in theaters, which is intended as a hook to draw viewers into watching the television series. 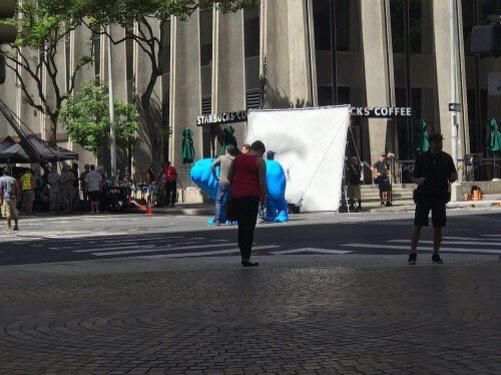 Though as I mentioned earlier, at least apparently they’re not skimping on the awesomeness that is Lockjaw, which gives me hope that perhaps this is not Black Bolt’s final costume. Posted in ABC, comicbooks, Comics, Marvel, My Two Cents, superheroes, upcoming.Tagged Anson Mount, The Inhumans.